Q: How was your last race of the season? KR: It was a busy race and we didn’t have the pace we wanted all the time. There was certainly a lot going on. I went off at the last corner on lap 52 as I couldn’t see well with my visor being dirty and fogged up. Where I went off you can get back on the track by going through the support race pit lane, but you have to go through a gate. I know this as I did the same thing in 2001 and the gate was open that year. Somebody closed it this time. Next year I’ll make sure it’s open again. Q: Have you met your expectations for the year? KR: I didn’t really have any expectations for the year, so I think it’s been a pretty good season. We’ve had some good results and we’ve finished every race. Certainly from a race reliability perspective it’s been excellent. In terms of results, it could have been better, but it could have been an awful lot worse. Overall, I’m pretty happy. Q: You finished every race and scored points in all but one: that’s a pretty impressive stat? KR: I just tried to do my best and to score points of course you have to finish the race. We had a good car and I didn’t get involved in too many incidents with other people. Q: What do you plan to do now? KR: Well I now know I have a trip to Istanbul for the FIA season end awards. Other than that no plans really. Let’s see what happens. So proud of him, an excellent year! Can’t wait to see him don that suit and the trophy. Thank you Kimi for 2012! In 1997 Alonso was dominating European ICA Championship, and spun himself in final. 1999: Kimi Räikkönen (FIN) and Fernando Alonso (ESP) participate in their last Karting World Championship. 18 month later they both participate in their first Formula One Grand Prix! Hi Saima, agreed that Kimi made an extra ordinary season, it would be nice of you if you made nice video for the whole season for Kimi. Can’t wait to 2013 season. thank you Saima for all the effort and activity which you have updated us with all around the season you are the best. 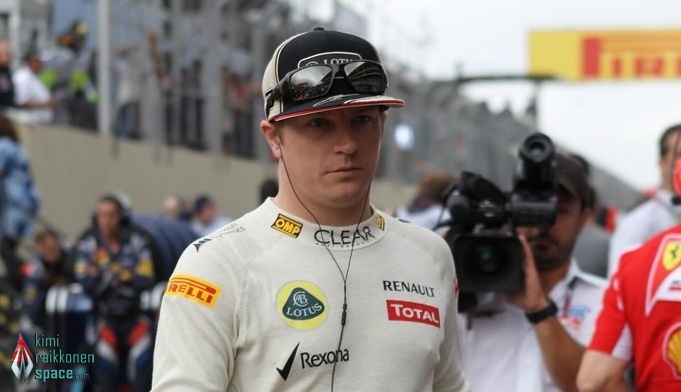 Is it just me, or is Kimi starting to look a little bit old. The season has taken its toll it would seem. Either that, or the Iceman is still downing not only Magnums, but lots of Vodka too. Previous Brazil Grand Prix – Race Results: Kimi takes 3rd in championship!